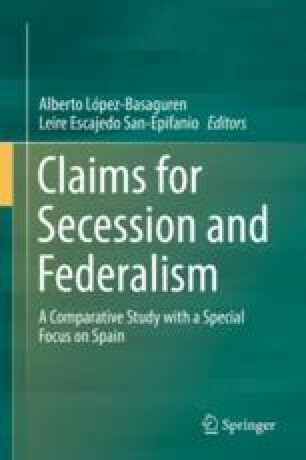 This paper has analysed how federalism or territorial pluralism can contribute to increase the quality of democracy and the freedom of the citizenry by favouring political pluralism and the control of power. Political pluralism and territorial pluralism are based on two different logics. Political pluralism indicates the moment of diversity, in which the alternatives that reflect the confrontation of interests and values inherent to all democratic societies are expressed and channelled. Territorial pluralism, in contrast, represents the moment of unity via the defence of the interests of the territory that are claimed against higher instances (the European Union for the Member States, the States for the territorial bodies). At present we can talk about a structural weakness of political pluralism at a European level, and the weakness of territorial pluralism at the infra-state level, which are nothing more than a manifestation of the same phenomenon: the strength and centrality of the State, which is projected in European politics in defence of national interests and reduces the impact of territorial interests in national politics. Rebalancing the excessive presence of the State at European and territorial level requires a revitalisation of internal territorial pluralism and the strengthening of political pluralism in the still incipient European public space. However, despite the fact that the excessive prominence of the national State continues to distort a balanced relationship between territorial pluralism and political pluralism at the various levels of government, the existence of this diversity of spaces or levels is an extremely positive factor from the point of view of the control of power and the quality of democracy. The explanation of this effect can be found in the fact that the tension between territorial pluralism and political pluralism operates differently when transferred to a distinct public space. In this way, the territorial pluralism of the infra-state level could favour political pluralism at a supranational level by incorporating voices distinct to those of the Member states, (which tend to monopolise the European decision-making process) into the public debate. In the same vein, the opening up of supranational regulatory processes to the internal territorial level of States could contribute to the strengthening of internal territorial pluralism at state level.